On Sunday December 2, 2018 our Lord and Savior reclaimed his own Miss. Dorris Ann Moore. She was born August 29, 1949 to the late Mr. Nathan Manley (Evelyn E.) Moore, who preceded her in death. Dorris attended the public schools of Hardeman County, Graduated from Bolivar Industrial High School class of 1967. 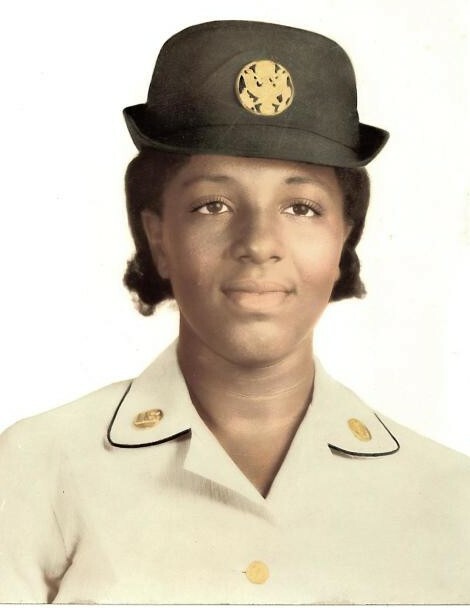 She enlisted in the U.S. Army in 1967 – 1969 served at Fort Gordon Georgia as a nurse to wounded soldiers of the Vietnam War. She began her career as a nursing assistant at Bolivar Community Hospital in 1976 and remained there for thirty five years as a dedicated employee until she retired in 2011. Dorris was a lifelong faithful member of Clover Chapel Missionary Baptist Church serving as secretary of the Sunday school class for the past nine years and was a member of the mothers Board. Dorris enjoyed traveling and spending time with friends and family. She was a very sweet lady compassionate and caring; she volunteered willingly to help others in her community as needed, had a great sense of humour, was the life of the party and kept everyone laughing. To cherish her memory and celebrate her victorious life, she leaves her only son Eric L. (Lisa) Moore Chesapeake, Va., brother, La Verl ( Ernestine) Moore Cordova, Tennessee, granddaughters, Tiara Moore, Virginia Beach Virginia, Eryka Moore, Newport News Va., Kayden Moore, Newport News Va., grandson Xavazius Moore Jackson, Tennessee, great grandson, Z’Kari Moore Jackson, Tennessee, niece, Torrey (Larence) Bonds Cordova, Tennessee, nephew, Christopher L. Moore Cordova, Tennessee, aunts; Irene Gatlin Nashville, Tennessee, Curley (Hank) Miller Nashville, Tennessee, Shirley (Milton) Davis Jackson, Tennessee, uncle, Hathard Gatlin Saginaw, Mi. and a host of cousins and special friends.